A wheel is composed of three main parts: the spokes, the rim and the tire. The tire is the outermost surface of the wheel that comes into contact with the road. It connects to the rim of the tire, which is simply the outside edge of the wheel. A tire covers the rim of the wheel to both protect the rim and help your vehicle absorb shock and increase performance. Without all three parts, the safety and performance of your tires would be greatly reduced. 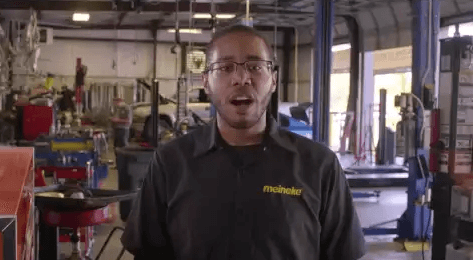 To learn about tire repair service, contact Meineke #1351 in Sinking Spring, PA. The quality of your tires is extremely important, especially during adverse weather conditions and at high speeds. If you neglect to have your tires inspected regularly, you may be taking a risk. A car's handling largely depends on the quality of its tires, and if yours are deflated or damaged, you may notice that your car does not steer and respond as well as usual. At Meineke, we offer unsurpassed tire change service and tire rotation service to all drivers. Contact your nearest location in Sinking Spring PA Meineke #1351 to learn more about keeping your tires functional. Wheels may need to be aligned after accidents or after too much wear and tear on a vehicle. Cars with tire alignment issues often show uneven tire wear. Drivers may also notice vibration through the steering wheel as wheels pull against one another instead of working in sync. If your car pulls to one side, it may indicate that your wheels need to be aligned. Bring your car or truck to Meineke #1351 in Sinking Spring, PA, and we will gladly perform an alignment and tire rotation at the same time. Contact us for more information regarding tire rotation. A flat tire leaves you stranded, pure and simple. Yet there are other reasons why you should ask yourself "Is there a good option for tire repair near me?" long before you ever get a flat. Avoiding routine tire rotations won't necessarily keep your vehicle from driving (up until excessive wear causes a flat, that is), yet it does limit their performance lifetime. Given the significant financial investment your tires represent, wouldn't you want to get the most out of them? 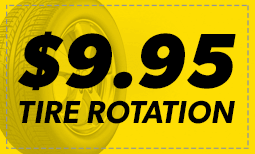 Contact us at Meineke #1351 in Sinking Spring, PA to learn how a low tire rotation can save you hundreds of dollars in the long run. The great thing about tires is that they usually show clear signs when they need to be replaced or serviced. Damaged side walls may be cracked and broken if the tire is old or failing. Tread on the tire may also seem noticeably low, further indicating the need for a tire repair service. In severe cases, your tires may be so damaged, you can feel or see the belts, or insides, of the tire. Wear on one side, or not enough wear along both sides of your tire also indicates a problem. If any of these happen to your vehicle, immediately contact Meineke #1351 in Sinking Spring, PA to help you safely get back on the road. Drivers can expect high-quality service from us, but we also understand that tire repair cost and tire replacement cost are important to consider as well. If you are experiencing issues with your steering and suspension, you may also be curious about our tire rotation cost. We realize that vehicle maintenance and repair can be expensive, which is why we strive to offer some of the most affordable prices in the industry to our customers. Your local store may also offer various coupons and discounts. Call our Sinking Spring, PA, Meineke #1351 store for additional information about our services.